The son of legendary boxer Rocky Marciano is introducing a new wine rooted in his Italian family tradition. 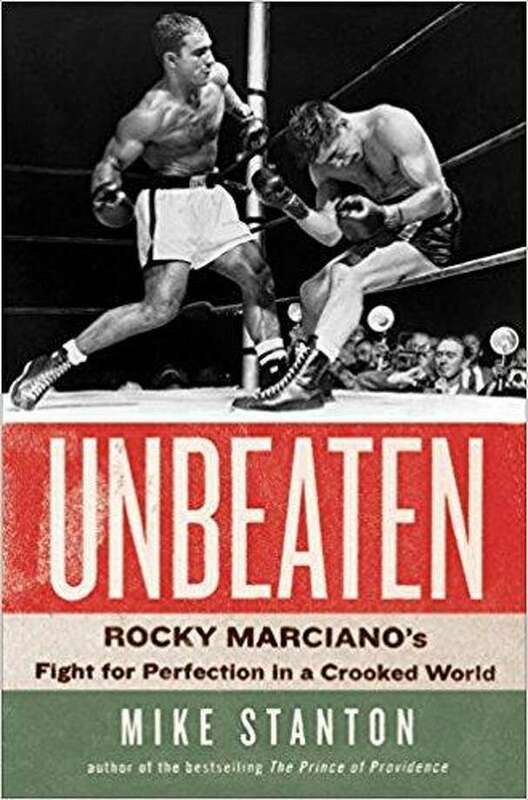 You don’t need to be a fan of boxing to enjoy the new biography of heavyweight champion Rocky Marciano by veteran journalist and University of Connecticut professor Mike Stanton. Stanton says he has never been “a hard-core” fan of boxing, but saw the story of the champion as a broad canvas for an examination of New England in its industrial heyday and the way that the sport of boxing captivated working class people in arenas all over the region. Marciano’s hometown of Brockton, Mass., becomes a character in the book, with the fighter loving the place but becoming determined to do something other than the factory work that kept the town humming. The book shows how the four-and-a-half million Italian immigrants and their families had to rise above stereotypes that pegged them as “pickpockets and thieves.” In the first chapter, we learn that three graduates of Harvard created an anti-immigration league in the 1920s that lobbied Congress to close borders to retain the “racial purity” of America. The lobbying was successful, with entry quotas for Italians and other ethnic groups drastically lowered. In the pre-television 1940s when Marciano began his rise to the top, thousands would pack arenas in Providence, Hartford and other New England cities to cheer on their favorite professionals. “Brockton was (a typical) small New England factory and mill town. This was the reason immigrants came here. ...There was a sense of identity then and people would rally around boxers,” Stanton says of the post-World War II era when manufacturing work was plentiful. “The town really fit Rocky and he became known as ‘the Brockton Blockbuster.’ He carried his working class identity with him (as a champion) and he always came back,” he adds. Because the champ never lost a bout before he retired, he was also something of an investment opportunity for his most loyal Brockton fans who would keep turning over their winning bets until they raised enough money for major purchases. There is a moving moment in the book when Rocky goes back to Brockton. While he is visiting the old Italian people in his neighborhood, one woman tells Marciano that she owes her house to him because of the winning bets she made. When Rocky starts spending a lot of time in Manhattan, “Unbeaten” also becomes a love letter to the lost glamour of New York City in the first half of the 20th century. “That world is gone,” Stanton says of the way show biz figures, sports celebrities and journalists would all hang out in nightspots like Toots Shor’s on West 51st St. In one scene, beautiful women in the fabled bar start drifting away from Frank Sinatra and Dean Martin and toward the Italian champion. If you love the Manhattan nightlife in the classic film “Sweet Smell of Success,” you will relish Rocky’s adventures in the smoky bars and nightclubs that catered to celebrities and gangsters. “I wanted to get into that whole world of Damon Runyon and ‘Guys and Dolls,’” the author says of his evocation of a vanished New York. Stanton talked with Nick Pileggi and another newspaperman, the late Jimmy Breslin, about their adventures as cub reporters eating and drinking with the fight guys. “They got hooked on it,” he says, agreeing that the drama of boxing at its peak was something of great interest to a wide array of writers, including novelist Norman Mailer. While Stanton gives us a warts-and-all picture of Marciano, “Unbeaten” shows us a basically decent man who rose above a series of physical ailments — including a hand injury that could have ended his career — and always remained loyal to his family and friends.